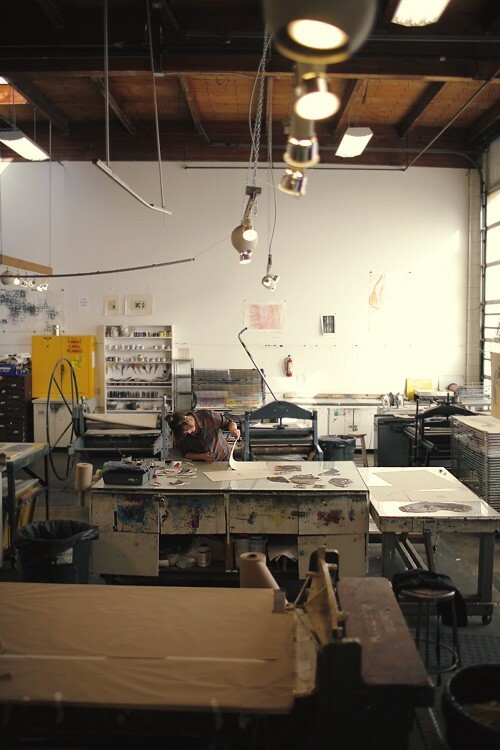 Meet Seattle-based artist, Jen Ament. Oversized plaid shirt with sleeves rolled up and a bun? How cute is she? See Jen work. 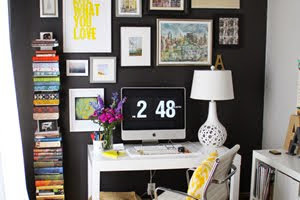 Some of my favorite shots are of creatives in their workspaces (I even have a Pinboard titled Creatives at Work), so when Jen posted this on her blog, I knew I'd be stealing it to share with you all. There's something about a giant warehouse where artists go to play that gets me excited - and not in a creepy, glow necklace, House music kind of way. 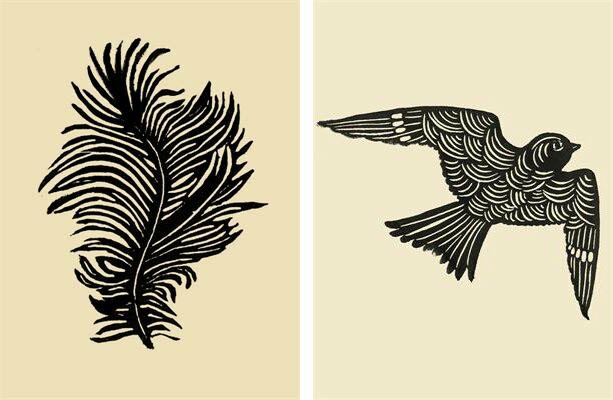 Jen turns her illustrations - many of which are nature-inspired - into detailed linoleum-cut prints. 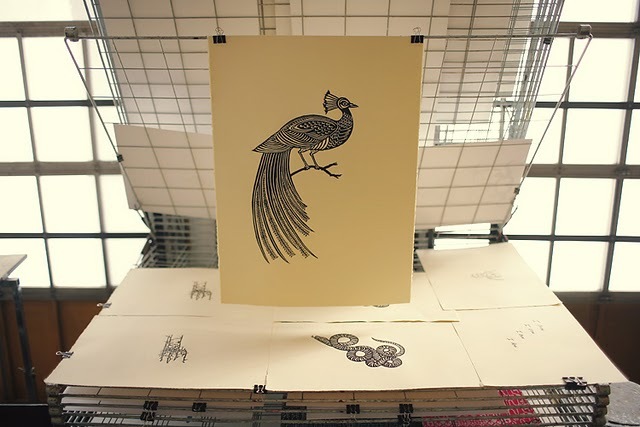 The labor-intensive process means a single print takes 2-3 days to create. Printed on 1BFK Rives paper from France, the finished result is a highly contrasted silhouette that accentuates the details of the figures. You may even recall seeing Jen's work in the home of Victoria Smith, author of SFGirlByBay blog that was featured in the premiere issue of Rue. There's no denying Victoria is a woman of great taste, and a collection of Jen's work hangs proudly in her dining room against a black backdrop. 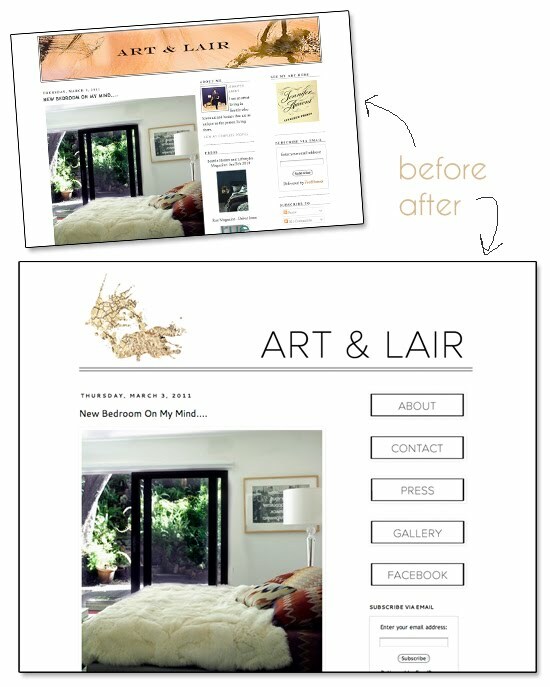 And a few months ago, this brilliant artist asked me to redesign her blog, Art and Lair. With an abundance of white space and a splash of speckled gold ink, it's now a perfect canvas on which to display the work of other talented artists and designers. 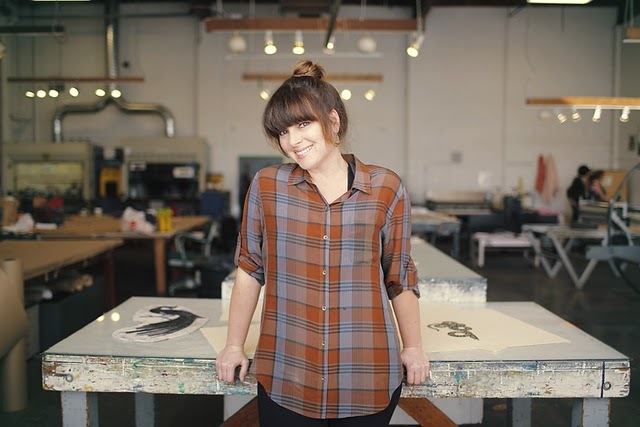 Her work is gorgeous!! And I love what you did with her blog!! 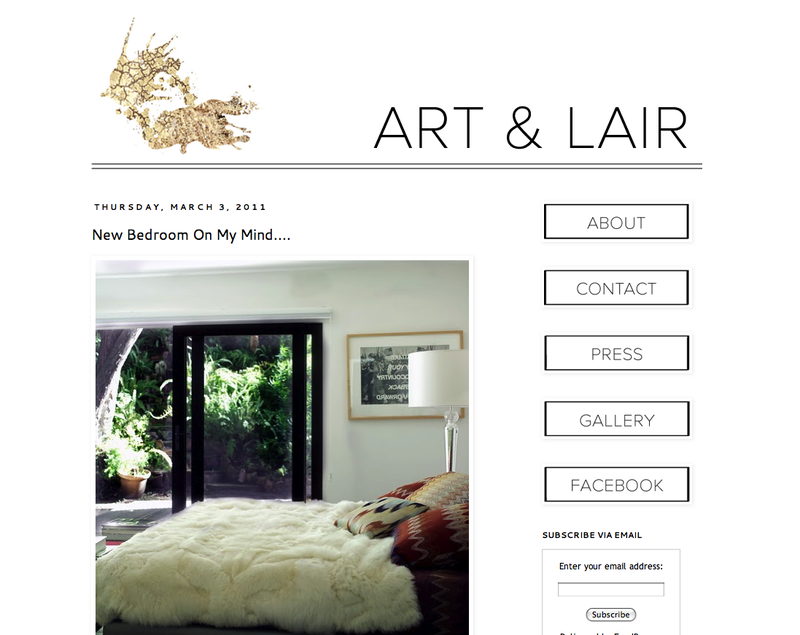 Love the blog's new look! 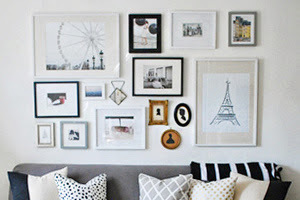 Another great blog makeover, I love how simple it is -- totally matches her aesthetic. She is very talented! Love the new blog look-it looks so clean! "and not in a creepy, glow necklace, House music kind of way." That made me laugh out loud! SO true. P.S. You rocked the new design. I'm just curious if this artist is familiar with Don Carney and Hugo Guinness.? 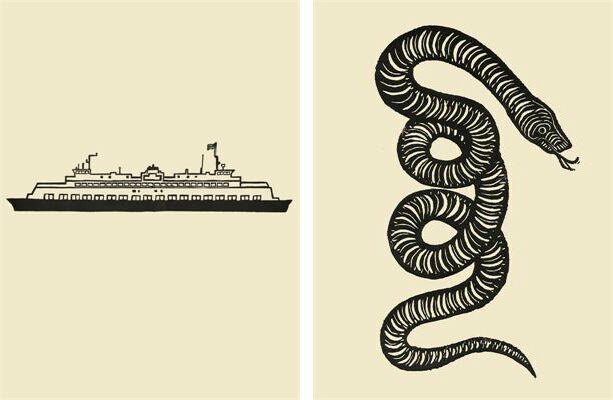 They are both pretty well known for what they do and there is such similarity here- half of this person's work looks like Don Carney's and half looks like Hugo Guinness'. This struck me as a little odd and so I thought I would just ask the question.